Click the Vertical button and select the vertical of your choice. Click on the Advanced button and set the desired Region and Stage. 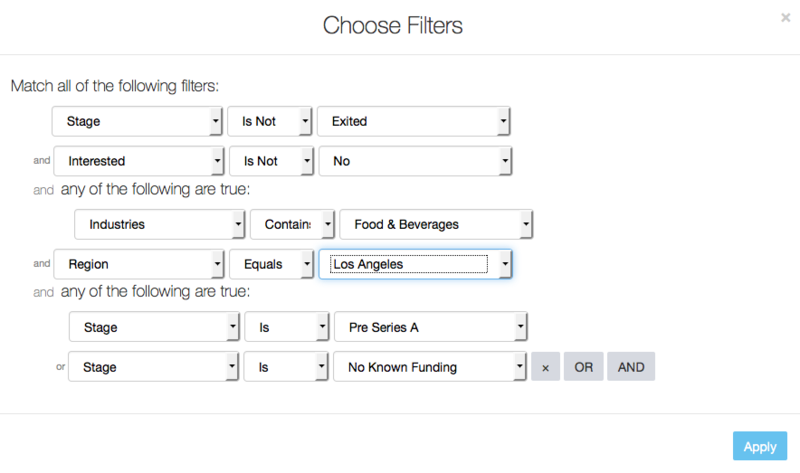 Looking for the next amazing early stage coffee startup in the LA area? You can potentially find it by setting coffee as a keyword in your targeted search. Click on Keywords and type in the keyword of your choice. This is really important - when you save your search, any time that we add a company to our platform that meets the criteria, you&apos;ll be the first to hear about it. Just hit the Save button in the upper-right corner of the page. 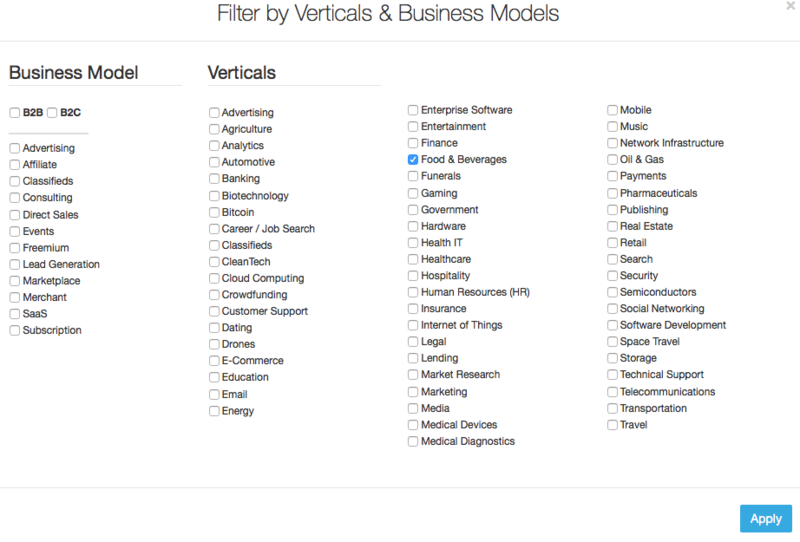 The more targeted searches you conduct, the more effective the Mattermark platform will be to you!